Although there are still a couple of days left in May, book sales of Senior Camino have reached a new monthly high! Thanks to all those out there who have purchased this title, either in hard copy through Amazon or in Kindle version. One comment from a reader indicated that it inspired her to get started and actually go on the Camino de Santiago, even at the advanced age of 65! Hahahaha. That’s great, but dear reader, 65 isn’t old, it’s just older! We are now well into “prime” Camino time — the months of May through October, and once again I am getting “the itch.” My body seems to have mostly healed from last Fall’s injuries, but I still have some major “getting in shape” to do before heading back to Spain or Portugal. I do have some lingering nerve issues that I am trying to sort out with the doctors. Haven’t gotten to the bottom of that yet. Due to other plans, there will be no Camino trip this year in 2018, but my old Camino buddy, Greg recently told me that he still wants to do the Camino Portuguese, so perhaps next Spring we can make that happen. Plans are well underway for my trip to Israel this coming October — a planned tour with several folks from my church here in Carmichael, CA. This will be a two-week trip starting mid-October and will involve Tel Aviv, Eilat, Ein Gedi at the Dead Sea, Tiberias/Galilee, Petra in Jordan, and of course Jerusalem. My excitement to finally visit the Holy Land is indescribable! Heather will not be able to go with me, because she has some plans to visit her family on the East Coast and this July will be her Mom’s 90th birthday. I will take copious notes, of course, and hundreds of photos. Maybe a new book will come out of it! We’ll see. Any Camino veteran will understand this metaphor. At another point in the book, Peterson tells us that Christians cannot stay in one place, thinking that they have achieved knowledge or whatever, lest they become Statues. They must keep moving towards the goal and are thereby pilgrims their entire lives as followers of Christ. As the Israel itinerary firms up, I will keep you posted of the places and dates where we will be. Until then, adios amigos! And as always, buen Camino! Alas, I had to postpone my Camino Portuguese due to an injury to my lower back that caused severe sciatica in my left side. I am not sure how it happened, but it was about one week before I was scheduled to leave for Porto. The thought of even sitting on an airplane for 11 hours was too much to bear, much less walking 13-18 miles per day! So, I’ve spent many hours at the Chiropractor’s office since then and just now am starting to turn the corner. Naturally, I have lost most of my leg strength, and at my tender age of 75, it will take months to make it back into shape. We are planning to try for early April to reschedule. I’ll keep you posted. There is a reason for everything. Maybe it was just to keep me away from the forest fires in Portugal and Galicia. Who knows. Adios for the time being. Back to the chiropractor, and then to walk the dog. On October 2, 2017 I will be leaving for a third Camino — this time the Portuguese. My old Camino buddy Greg and I will be starting in Porto on October 5 and heading for Santiago where we hope to arrive on October 16. From there, we will walk to Finesterre and return by bus to Santiago before flying home to Sacramento on October 23. The first two days of our trip will be along the Senda Litoral, which is otherwise known as the “Coastal Route” by some. 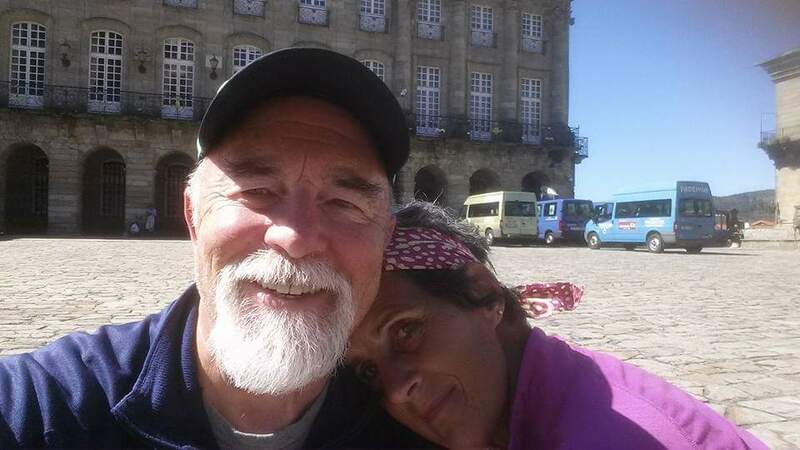 We will be walking along the ocean for most of the time, stopping at Povoa de Varzim the first night and then walking to Esposende for the second day. From Esposende, we will take a bus to Barcelos and pick up the main route from there, through Tui, Pontevedra, Padron, etc. We have been having exceedingly hot weather for all of July and August in the Sacramento region with the majority of days being well over 100 degrees. This makes training difficult, but we are trying to do the best we can under the circumstances. A few months ago, I signed up for notifications from Scott’s Cheap Flights and through this great website, was able to secure airfare via Google Flight Search from Oakland, CA to London for about $500 RT. This is a direct flight with no stopovers both ways. From London we are flying directly to Porto for only $64, so this makes the total cost appreciably less than we had planned. We just have to get back and forth to Oakland, which is not a big problem. Greg’s wife will drive us down there and we will take a train back. Easy enough. Well, those are the basic logistics. I am really looking forward to this trip, since my longing to be out on the Way never ceases. Can’t wait to see the beautiful hills and forests of Northern Portugal and Galicia, eat the great food and drink the wine of course, but most of all to meeting new fellow pilgrims from all over as we share all this together. On another subject, the sales of my books, Senior Camino and Walking Notes Camino Frances, have been quite encouraging and the royalties will provide a little spending money for the food and drink I mentioned above. I am humbled and thankful for those who have purchased these items. It is quite gratifying, to say the least. I will keep you posted on the progress of the new trip and things develop. NOTE: Now available on Kindle as well as Kindle Unlimited! Just released on Amazon and available soon on Kindle. These are the notes that I had originally planned to include in Senior Camino as an Appendix. Cooler heads prevailed, however, and I was convinced to separate the Notes out into their own book. Glad I followed that advice, because now the pilgrim can carry this smaller book comfortably in the backpack for reference, when needed. These Notes are for everybody — not just seniors. I think that they should prove useful for anyone walking the Camino Frances. I have attempted to keep them short, concise, and easy to read in a bullet point format. In my mind, the Notes are particularly helpful when navigating through some of the more confusing sections of the walk, such as heading into Burgos (where you have several options available,) or perhaps going from Molinaseca to Ponferrada to Villafranca, etc. Mostly, they deal with directions from town to town so that the reader won’t go astray; however, I have also included some suggestions of places to eat or rest during the day that seem to make sense for the weary traveler. Whenever I remember having a pleasant or surprising experience, I point that out as a recommendation. If you are planning a future Camino, this little book will be a helpful tool. It would also make a great present for someone you know who is planning a trip. Enjoy, and Buen Camino! 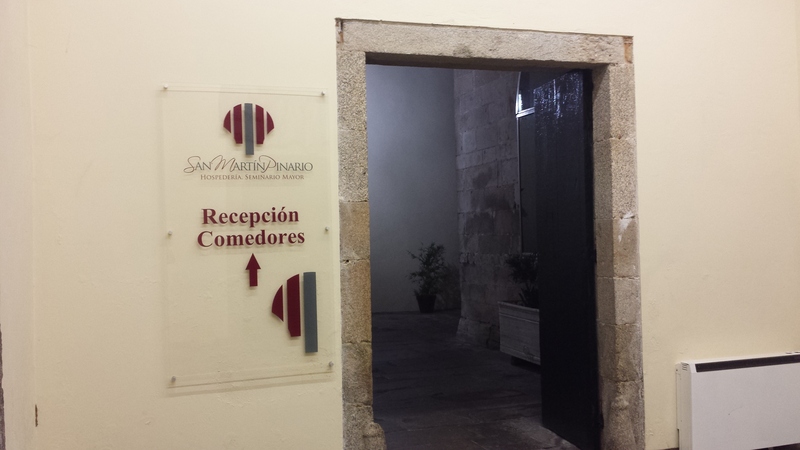 September 22, 2015: The taxi was waiting outside the front door of Hospederia San Martin Pinerio at 6:30. We hopped in with our gear and directed the driver to take us to the airport. It was interesting to drive through the city in darkness, and we both noticed how beautifully it was lit up. By the time we reached the airport, it was light. We were both feeling sad that we would be leaving in a couple of hours, but still anxious to get home. We checked in at Iberia Air and spent a little time watching the shrink wrap operation before going through security and heading towards our gate. Heather saved a table for us and I went through the cafeteria line and got some breakfast items for us. When we had finished eating, we got a seat near our gate and waited for the flight to be called up. After an hour or so, we got in line to board and began a conversation with a Danish woman in front of us who was intrigued by Heather’s scarf. She wound up sitting next to us on the plane and we continued the conversation all the way to Madrid. When we got off the plane, it seemed as if we had to walk the entire length of T4 to get to the airport shuttle that took us to the other terminal where our US Airways plane was docked. To get to the boarding area we had to go through another passport control and questioning protocol. Then it was about an hour before we could board the plane. The trip to Charlotte was relatively uneventful. I was able to watch 3 movies on my seat-back video screen, while Heather watched some TV shows and a couple of other movies. The airline served us two meals that were not too bad actually. We arrived on time in Charlotte, NC and proceeded to the customs control and waited in line to get our passport stamped. Then we picked up our bags and transferred them to the connecting flights desk. Upstairs, I exchanged the last of my Euros at the kiosk, and then we wound our way to the gate to catch our flight to Sacramento. Not too long after, we were ready to board, and this is when the trouble began. After sitting on the plane for half an hour, the pilot announced that there was trouble with a couple of the warning lights that was preventing them from taking off until that problem was sorted out. A large groan emitted from all the passengers. After sitting on the plane for more than an hour, they finally announced that they could not fix the issue, and that we would all have to de-board the plane, and they would have another flight for us. Two hours later, at the other end of the airport, we finally got on a new plane and settled in for the flight home. Needless to say, everyone was tired and irritable by this time. Before getting on the plane, I called my friend Norm who was going to pick us up at Sacramento airport and updated him on the status of the flight. I told him that we could get a taxi home, if it was getting too late for him, but he insisted that he would be there, no matter what the time. Great to have friends like this! My memory is hazy about this last leg of the trip, but I think they served us more food and drink. At Sacramento airport, we arrived during a late-night security drill which had the place locked down tightly except for our flight. Heather found Norm outside at arrivals and I waited for our bags to come in on the conveyor belt. An hour later we were home safely. I calculated that from the time we got on the taxi in Santiago until walking into our house, it was 27 hours! Whew! Our dog, Stogie, was overjoyed to see us, so we spent some time playing with him, then had a bowl of cereal before crawling into bed. Tomorrow we would begin the re-entry process. As anyone who has made a trip of this sort knows, we were drained, emotionally and physically — filled with gratitude that we were home safely, but also feeling melancholy that we would not be walking the next day to a new exciting location.